Are you looking for a place to purchase local honey, pollen, beeswax, or other hive products? Do you need someone to remove a swarm from your yard or a hive from a building on your property? Or are you a beekeeper who wants to support your fellow Kentucky beekeepers when you buy new equipment or bees? If you answered yes, to any of those questions, then we can help. Below is a list of Kentucky State Beekeeper Association members who have honey bee-related products and services to offer. The list is arranged alphabetically by county. The small, blue Kentucky symbols ( ) next to a member’s product indicate that he or she self-certified that all of their honey, pollen, propolis, and beeswax came from hives located in Kentucky and/or that their queens and nucs came from bees raised in Kentucky. Each product covered under the self-certification has its own Kentucky symbol. Other state symbols located next to a product indicate that the person makes the same self-certification for that state. Other states are often included when the person lives near the state line and may have hives on both states. The list is for informational purposes only. All transactions are between the seller and the purchaser. The Kentucky State Beekeepers Association is not liable for any disputes or disagreements arising from the use of this list. 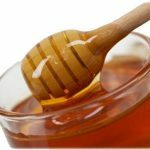 Information about honey labeling requirements and cosmetic regulations can be found in Commercial Food Manufacturing in Kentucky – A Starter Guide.